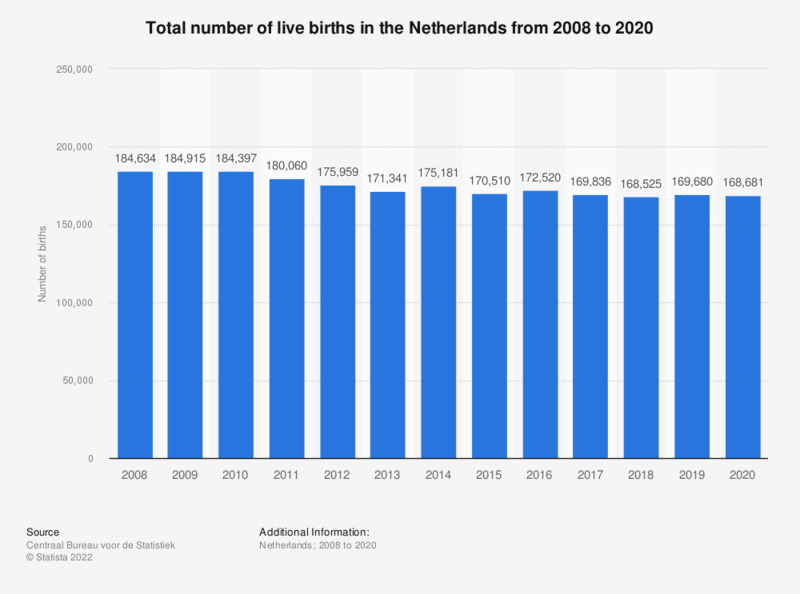 This statistic shows the total number of live births in the Netherlands from 2007 to 2017. In 2017, approximately 170,000 babies were born alive in the Netherlands. This was a decrease of approximately 3,000 in comparison to the previous year. In the same period, the number of stillborn children in the Netherlands decreased, as can be seen in this statistic. In the past ten years, the number of stillborn children decreased by approximately 500. For a more detailed look at the newborn babies, this statistic divides the number of live born children in the Netherlands in the last ten years by gender. It shows that in the past few years more boys than girls were born in the Netherlands. Live births: a child that has shown signs of life, regardless of the duration of the pregnancy. Do you have a children's toilet / potty at home? What would you consider a reasonable price for a baby car seat?